Riverbank Finance is a Grand Rapids mortgage company that offers Home Loans and serves all of Michigan for new purchase mortgages and home loan refinancing. Get Pre-Approved to buy a home online in minutes with our quick close home loan options! Refinance your mortgage to a low rate and save with our easy close refinance home loans. Get a quick mortgage quote online in minutes! Calculate home loan payments with our mortgage calculators. Get a home value estimate with our home valuation tool. Apply for a mortgage online with our mortgage loan application. FHA mortgage loans are a great option for first time home buyers or clients with bumps in their past credit. This flexible home loan option may allow you to buy a home with as low as a 580 credit score and only a 3.5% down payment. Mortgage rates are typically lower than Conventional home loans because they are insured by the Federal Housing Administration. If you are a first time home buyer or want to buy a home with a low down payment apply for an FHA Home Loan today! Want more information on a FHA Mortgage? Apply for a FHA Mortgage! USDA Home Loans require no down payment for loans up to a $484,350. This is the perfect first time home buyer program for those that do not have a large down payment saved. While many banks and lenders require as much as 20% down for similar conventional mortgage options, this home loan option requires Zero Down! The home must be purchased in a rural area and the household must earn low to moderate income to qualify. If you are interested in buying a home with no down payment apply for an USDA Home Loan today! Want more information on a USDA Mortgage? Apply for a USDA Home Loan! We are proud to support our military veterans by offering VA Home Loans with no down payment. This 100% financing option may allow a military veteran to purchase a home with Zero Down! While many banks and lenders add overlays that require perfect credit, we offer VA Home Loans down to a 580 credit score. A VA Home Loan may be the best loan type available to buy a home with no PMI or mortgage insurance and still get some of the lowest mortgage rates available. If you are a military veteran and believe you may be eligible for VA benefits then apply online for a VA Home Loan today! Want more information on VA Home Loans? Apply for a VA Home Loan! Riverbank Finance is a Michigan mortgage company in Grand Rapids. Locally owned and operated, we specialize in mortgage loans, home loans, mortgage pre-approval, mortgage refinancing, new home purchase loans and new home loans in Grand Rapids. Our commitment to quality ensures that we will provide the best home loans with some of the lowest Grand Rapids mortgage rates. The Michigan mortgage experts at Riverbank take the extra time to compare mortgage rates at banks and mortgage lenders to ensure that you are offered some of the lowest mortgage rates available. A licensed loan officer will give you one on one customer service for your new home loan. We can also help Michigan home owners with mortgage refinancing in Grand Rapids and West Michigan. Call us today for a free mortgage quote for your new mortgage. How do I apply for a mortgage in Michigan? Riverbank is a top choice for Michigan home loans if you are buying a new home or refinancing your mortgage. Mortgage companies in Michigan are all licensed through the NMLS (National Mortgage Licensing System) and the state of Michigan. Not only must mortgage companies maintain their licensing and take training courses and exams but also every mortgage loan officer of the company must be licensed. To be a licensed Mortgage loan officer you must have taken hours of training courses and have passed extensive mortgages exams to prove your knowledge. A loan officer that you will find in a bank or credit union is not subject to the same licensing requirements and is able to do loans on their first day with no experience! Who would you rather have advise you on your largest real estate investment? Choose a local mortgage company for your next Michigan home loan! 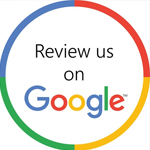 Read our mortgage company reviews and see what our clients are saying about us on Google Reviews. 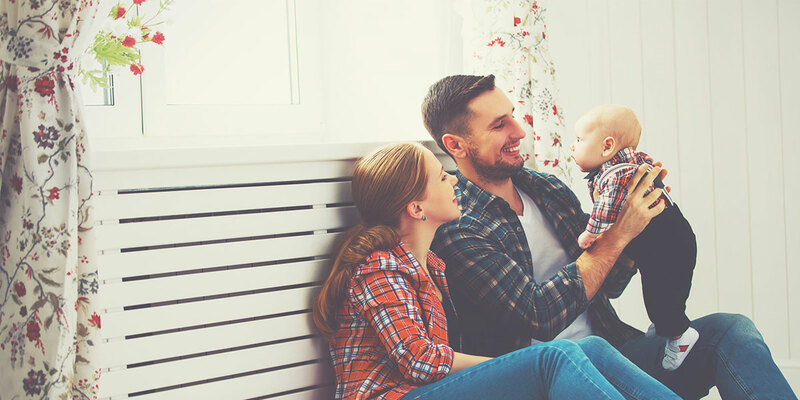 If you are a past client, take a moment and let others know how we were able to help you and your family buy a home or refinance and save money! Working with Anthony Bird at Riverbank Finance was the best experience anyone could ask for when purchasing their first home! My husband and I felt extremely well informed throughout the entire process making it smooth & stress-free! Anthony is a total professional who always kept our best interest in mind and provided us with remarkable service and advice. We would HIGHLY recommend Anthony to anybody applying for a loan or home mortgage. Thank you Anthony!! We used Riverbank Finance for both our initial home purchase and to refinance when the interest rates dropped recently. Anthony made the refinancing process super easy and smooth for us. I would recommend this company to anyone who is looking to buy a home or refinance! Damon was my loan officer at Riverbank. He was very professional and always kept me updated about everything! He always made sure to give me the best options and advice when it came to my loan process. I am very Happy with the process and that everything went smoothly! I highly recommend Damon and Riverbank! Riverbank is one of the best companies I've ever worked with, very knowledgeable and always available to answer any questions. I would highly recommend! Thanks Josh & Malina for always being so helpful and getting the job done quickly. Very pleased. My loan process with Eric and River Bank Finance was absolutely fantastic. Eric was very knowledgeable and always answered my questions in a timely manner. I would highly recommend Eric and River Bank Finance to be your first point of contact for all of you mortgage or refinance needs, and at the very least I would recommend getting a second opinion from them as they were able to save me money on fees and get me a lower interest rate! I can't even explain how amazing Riverbank finance is. Damon was outstanding! I first had a bad experience with another lender until I found Damon and his team. Great throughout the experience. The end of closing moved quickly Always Kepted me informed That's how amazing these guys are! Highly recommend them. Damon Grosz is absolutely heaven sent! He literally walked me through the lending process step by step, making sure that I understood every aspect of the buying process. Damon is not only a commensurate professional, but he’s dependable and integral. I compared several lenders during my home buying process and Damon was transparent from start to finish, no surprises, no exceptions, no small print, just simply HONEST and that’s what I appreciated and needed most while making an important decision of buying a home. He really set the bar extremely high for my future purchases. Damon is an awesome guy and I recommend his services unquestionably!